In a career that has spanned more than four decades, journalist Stephen Clark will tell you he’s just about done it all. Now, after 16 years as an anchor and multi-platform journalist at WXYZ-TV and WMYD-TV, Stephen Clark has retired. 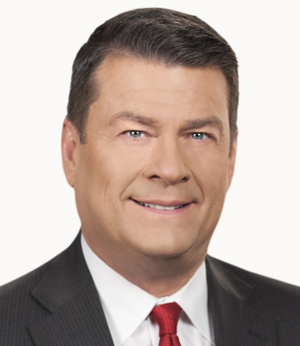 “Stephen has been a valued member of the 7 Action News team and has made a tremendous impact on our station and the Detroit community,” said Mike Murri, WXYZ and WMYD vice president and general manager. Clark started his career as a newspaper photographer in Colorado. He worked as a TV photographer, reporter and anchor at stations across the country, including KCNC in Denver, KGTV in San Diego and WCBS in New York. He ran a news bureau in Washington D.C., covering political stories for viewers in his home market of Denver. During his career, Clark reported on some of the biggest stories of our times, including the conflict in Bosnia, the Los Angeles riots, the California wildfires, and the terrorist attacks of 9/11. Clark was a correspondent for CBS News at the time of the attacks and reported from ground zero. Clark was one of the early adapters of social media, using it to communicate directly with television viewers. He started a popular social media community, #backchannel, that became a model for stations across the country. At WXYZ, Clark anchored the station’s signature events, including the North American International Auto Show, the Detroit Grand Prix, the Woodward Dream Cruise and the holiday tree lighting at Campus Martius Park. Clark has also worked tirelessly with the non-profit organization he co-founded, “Scarlet’s Smile,” that is committed to improving the lives of children afflicted with debilitating diseases. The foundation is named for his granddaughter Scarlet who was born with Spinal Muscular Atrophy (SMA). The primary goal of the foundation is to build a million dollar playground in Oakland County where kids of all abilities can play together. In addition to being able to spend more time with his family, Clark plans to pursue his passion for writing and performing country music. He’s an active member of the Nashville Songwriters Association International. Clark’s last show at the anchor desk was 7 Action News at 11 p.m. on Wednesday, February 28.